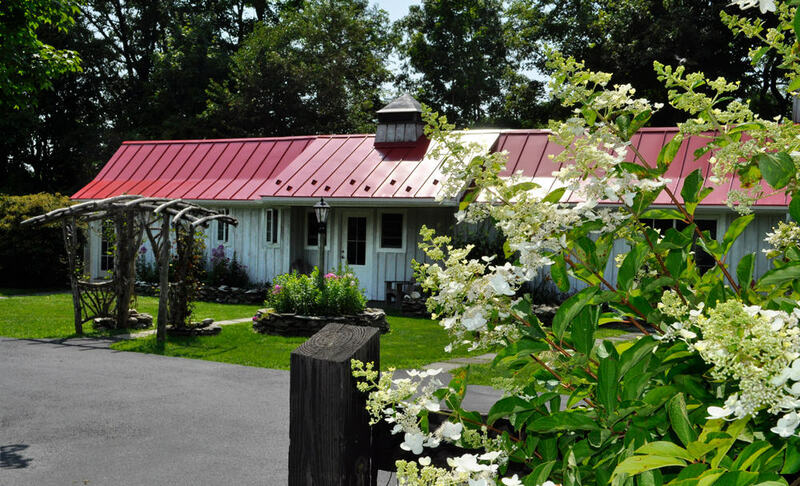 An upstate bed and breakfast on a working farm. 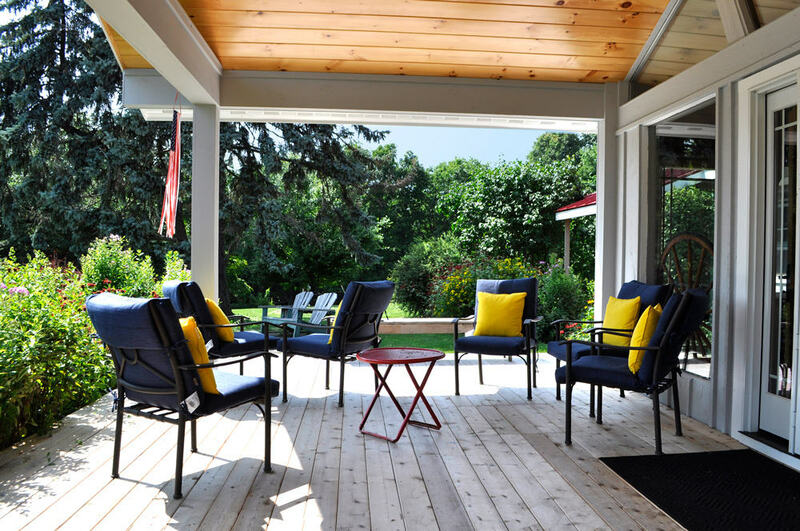 Located in Rhinebeck, N.Y., WhistleWood Farm Bed & Breakfast provides a relaxing, comfortable atmosphere with eclectic antique furnishings, fireplaces, comfy sofas and chairs, warm handmade quilts and delicious breakfasts. 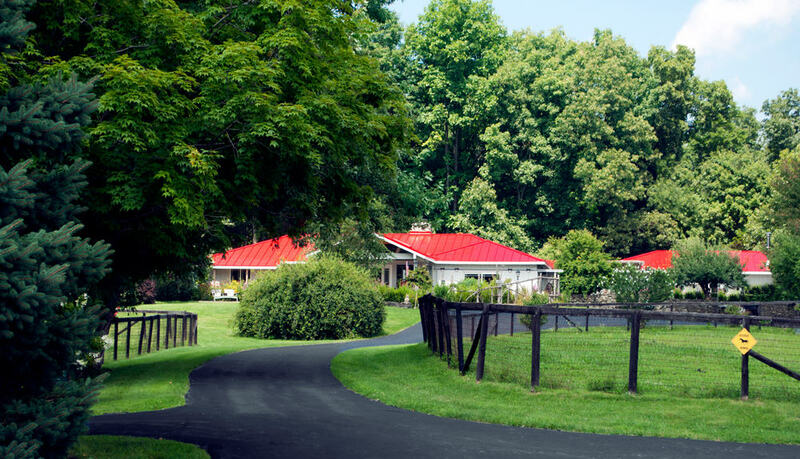 Every room in our main Lodge and Carriage House has a unique sensibility and character shaped by Maggie, WhistleWood’s owner and caretaker for more than 30 years. Right on our farm, guests can take advantage of miles of hiking trails, say “hi” to our friendly horses, Dexter cows, donkeys and chickens, and take in breathtaking sunsets and clear starry nights. 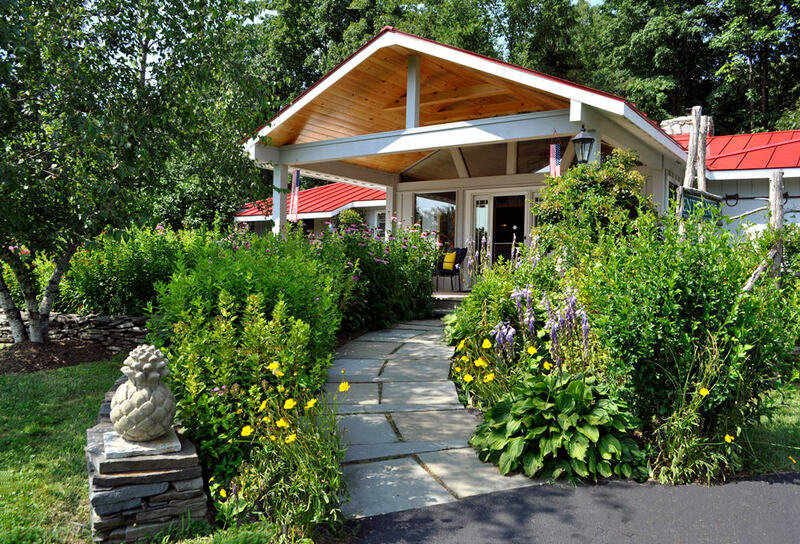 Three miles down the road, the town of Rhinebeck beckons with over 400 historic homes mixed with unique shops, antique stores, fine dining and an active arts community. Go a little further, and explore the Hudson Valley’s many wineries, golf courses, restaurants, historic mansions, rail trails, spectacular views and more. 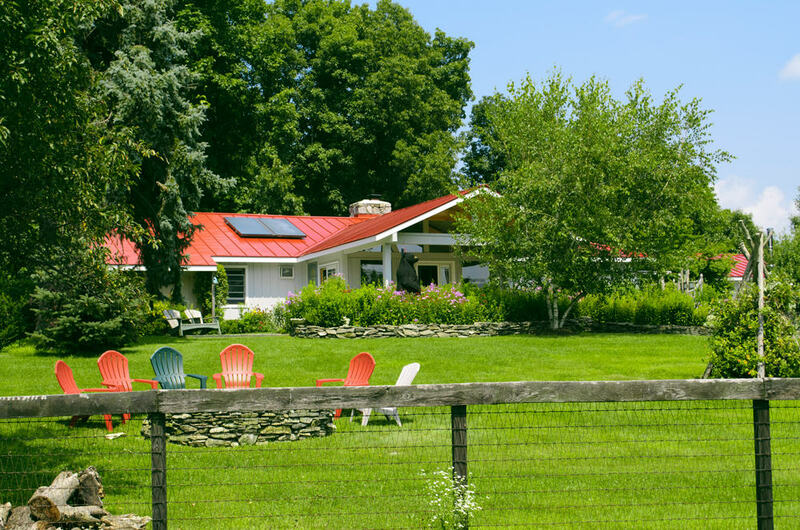 In the early 80s, Maggie got the idea to turn a country ranch style home on a quiet Rhinebeck farm into a bed and breakfast. Although the details have changed here and there, her kindness, warmth and sense of humor have been a constant force as she has helped thousands of guests escape from their daily routines to take a break in comfort and style. She will be happy to advise guests, with suggestions for your taste in places for dinner in Rhinebeck, which hiking trails, and the best swimming holes. She will often be seen cooking breakfast for guests too, and offer them fresh pie over the course of their stay. 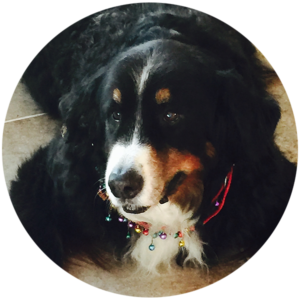 Jake was our beloved Bernese mountain dog who was often seen napping in sunny spots outside and following Maggie around. Last November, he passed away at the age of 11. Pearl is a German Shepherd puppy. She's as young and energetic as Jake is old and reliable. During their stay, guests are encouraged to fully explore our property. 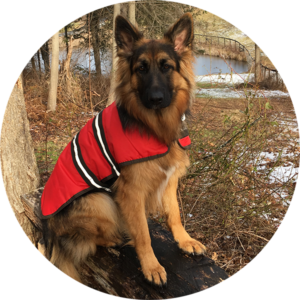 There are miles of trails with views alternating between serene woods and scenes from our working farm, which is home to horses, free-range chickens, cows, adopted donkeys, outdoor barn kitties and a Bernese Mountain dog named Jake. We no longer accept pets as guests at WhistleWood, but we have plenty of animals on the farm to love during your stay. There are 26 free range chickens on the farm, which supply our eggs and help with bug control. We have Rhode Island Red, Plymouth Rock, Cochin, a light Brahma, Wyandotte, Bantam and Ameraucana, which lay our green eggs. We love them all and guests enjoy feeding them some of our scraps and peelings from our fruits and veggies we clean to serve for breakfast. 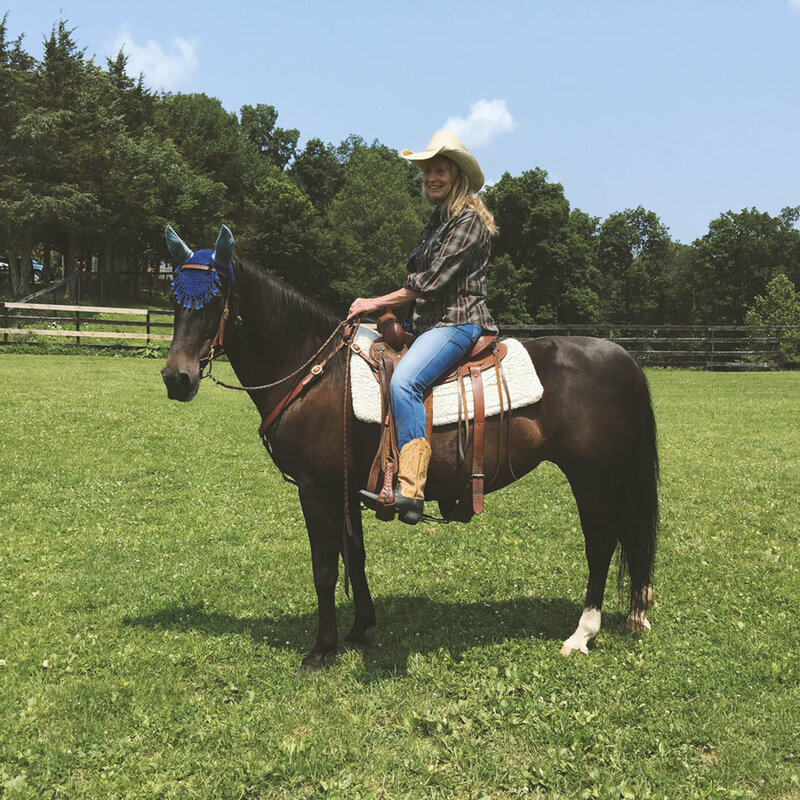 For many years we foaled out Thoroughbreds, Quarter horses, and Morgan horses, and now offer board for riding and retired horses of all kinds. We presently have several Natural gaited Tennessee Walkers at our farm from a 2 year old to a 19 year old mare. We offer full care boarding which includes hay and grain, a box stall and turn out, with run in sheds in a few pastures. Our six pastures are woven keep-safe wire with a top rail. We charge $600.00 a month full board at this time. 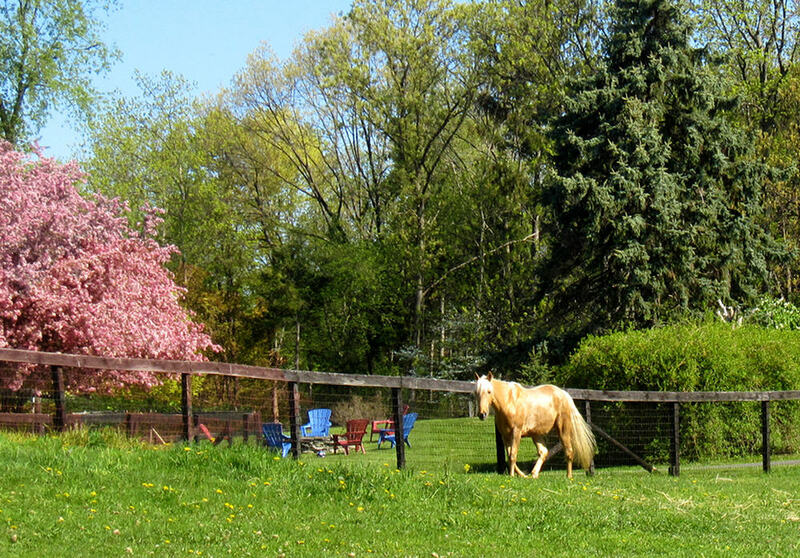 Our horses are privately owned and boarded at the farm. 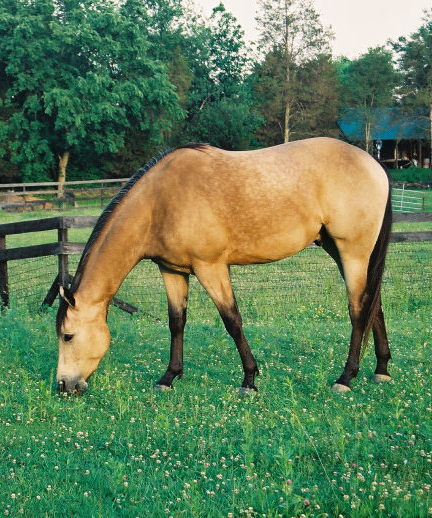 You may visit with them on your stay; they love posing for photos and a friendly scratch on the neck.There are Quarter Horses, a Palomino Tennessee Walker, a Kentucky Mtn. Saddle Horse, a Danish Warm Blood and our Donkey, Tigger. 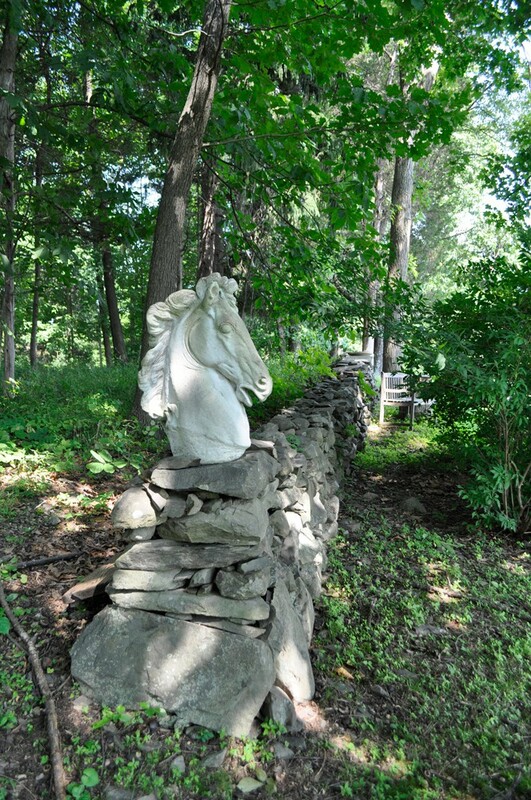 There is a riding ring and trails that weave around and through our property. We link up with the Landsman Kill Trail system, which you must be a member to ride on. After waking up from a restful sleep, our guests enjoy breakfast staples like robust coffee, or herbal teas, buttermilk pancakes, French toast, or waffles, scrambled eggs with fresh herbs from the garden, fruit compote, bacon and sausage and fresh muffins from 8:30 to 10 A. M. They’re all made using locally-sourced ingredients, including fresh eggs from our very own chickens. For early departures, a continental breakfast is available as well. All day tasty snacks like homemade pies, breads and coffee cake sit alongside fresh fruits, and flowers on the buffet table. 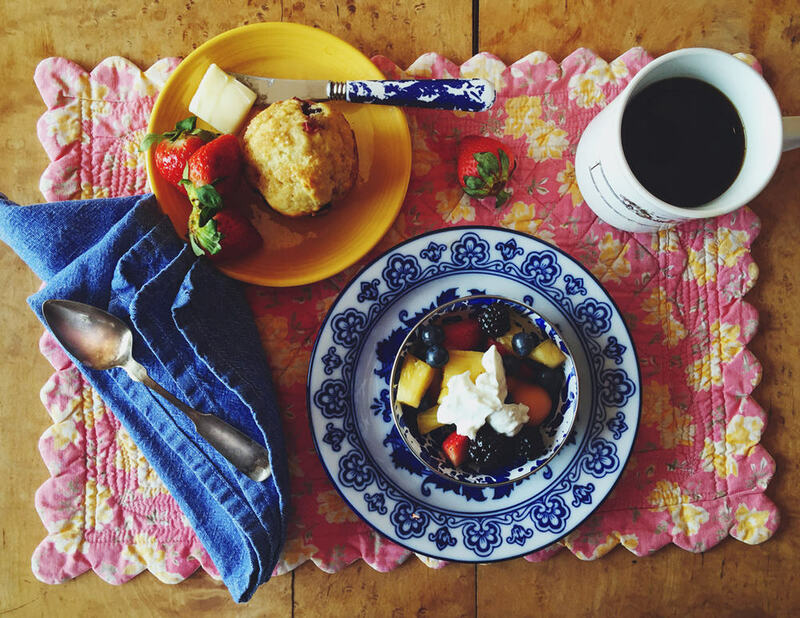 Check out Maggie’s favorite recipes for Strawberry Rhubarb Cream Pie and Buttermilk Pancakes!